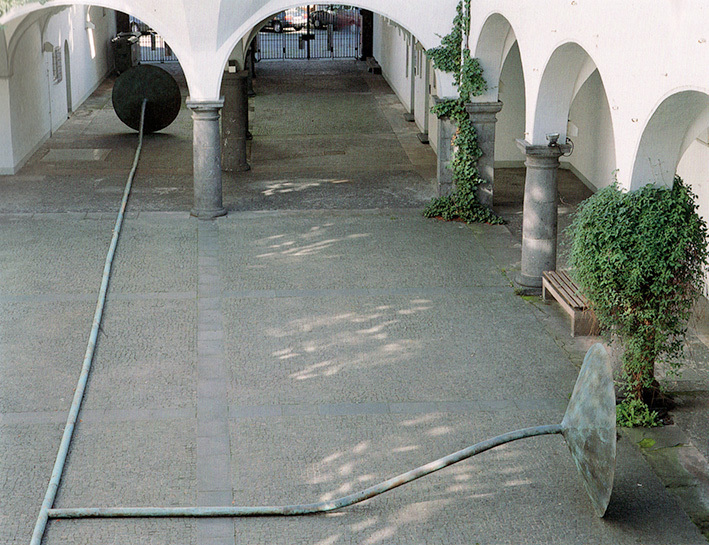 In 1994, while Matsui was still using the traditional material of copper, he showed how he was able to transform the remarkable immobility of an architectural space in to a dynamic space of perception. 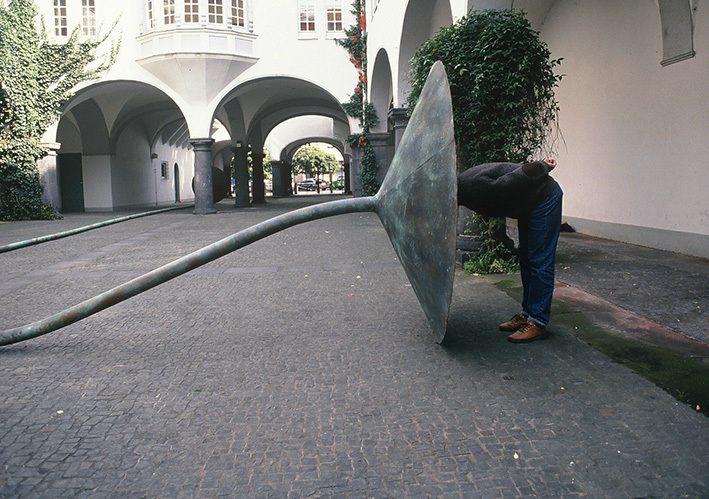 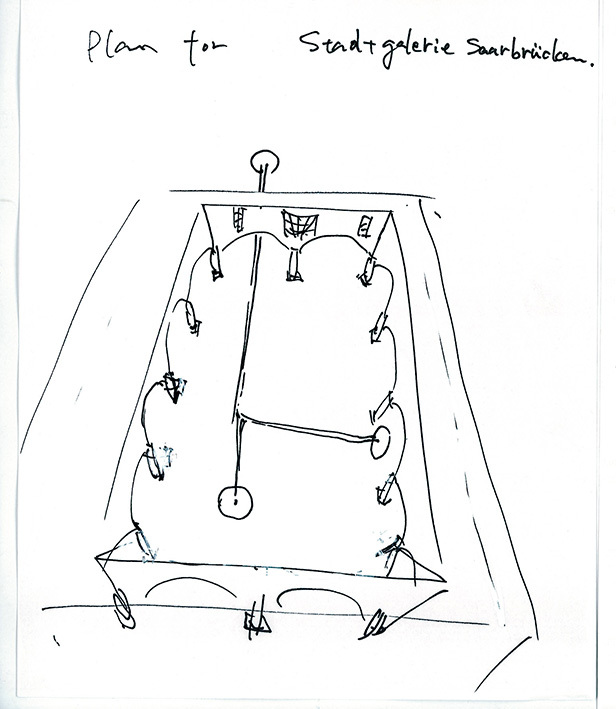 He created a sculpture that connected the infrequently used courtyard of the Stadtgalerie Saarbrücken with the animated outer environment, and used the work's plant-like acoustic horns (for hearing and speaking) to mark the space of art as a realm of communication. 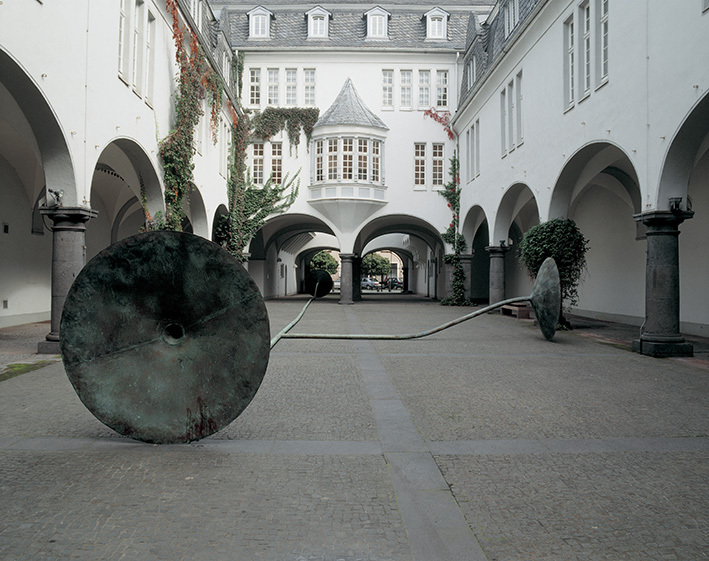 The severe architectural symmetry received a dynamic counterweight through the asymmetrical structure of the sculpture. 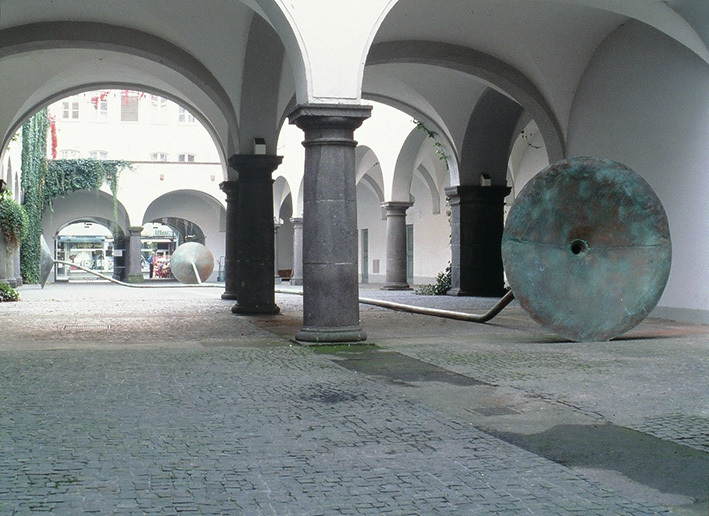 Since its form was both symbolic and practical (children and adults used it to transmit speech and sound), the object connected the real space of architecture with human social space.